As the city grows and devastating storms become more frequent, the need for a new flood map is becoming more urgent. 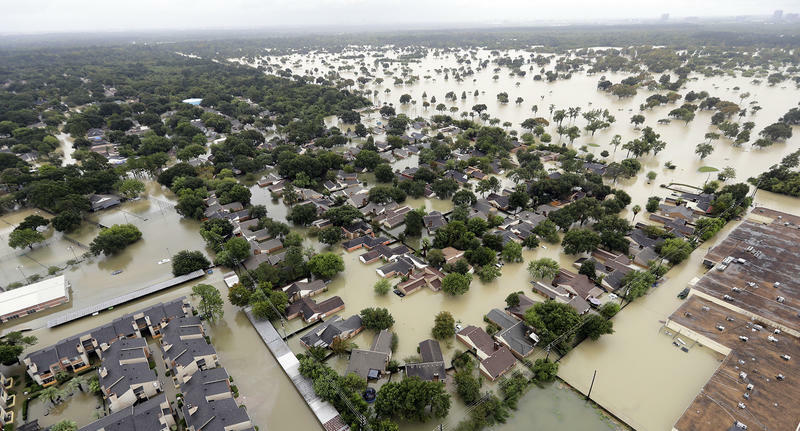 After Hurricane Harvey, many Texans realized just how wrong experts were about flood control measures in the state’s most populous city. But Houston isn’t the only Texas city at risk from bad or outdated flood plans. An investigation by the Corpus Christi Caller Times found that the city’s flood maps are outdated – they’ve gone without revision for three decades. The maps were first drafted for a vastly different Corpus Christi. The devastation of Hurricane Harvey has proven how important accurate flood planning can be. Kirsten Crow is an enterprise reporter at the Corpus Christi Caller Times. She investigated the city’s outdated flood maps. If a storm like Harvey were to hit Corpus Christi, the city would be devastated. Corpus Christi has been aware of the need to update its flood maps since long before Hurricane Harvey hit Houston. The city started the process in 2015. The damage from Harvey prompted Crow to begin investigating Corpus Christi’s flood maps. She says many feel that compared to the original predictions for the storm, the city got off relatively easy. Two big proposals from President Donald Trump are currently on the table. One is a budget plan that ramps up military spending but cuts domestic programs – and would add to the federal deficit. The other is a $1.5 trillion infrastructure proposal that everyone seems to agree is needed. Leaders are not on the same page, though, about where exactly that money would come from. When storms hit a community, it’s up to a select group of people to stay at work. First responders might come to mind. But there are also the folks who keep the lights on as long as they can, and then fix them once they’re down. Those workers need food, and many in and around Corpus Christi were able to find it from a familiar place just after the storm. Thousands of residents living near the Addicks and Barker reservoirs in northwest Houston are still in cleanup mode after their homes were inundated. It was only after the rain stopped falling that many of those homeowners discovered they were living in zones intended to be flooded in order to save downtown Houston from disaster. Weren’t developers required to tell buyers this information? If officials knew these areas were flood pools, why would they permit construction on these sites in the first place?